Recent earthquakes around the world have confirmed the potential for a large seismic event to cause unprecedented levels of destruction. Shock transmission units (STUs) have been used in several projects as one of the most effective instruments in preventing widespread damage from seismic activities and structural movement. 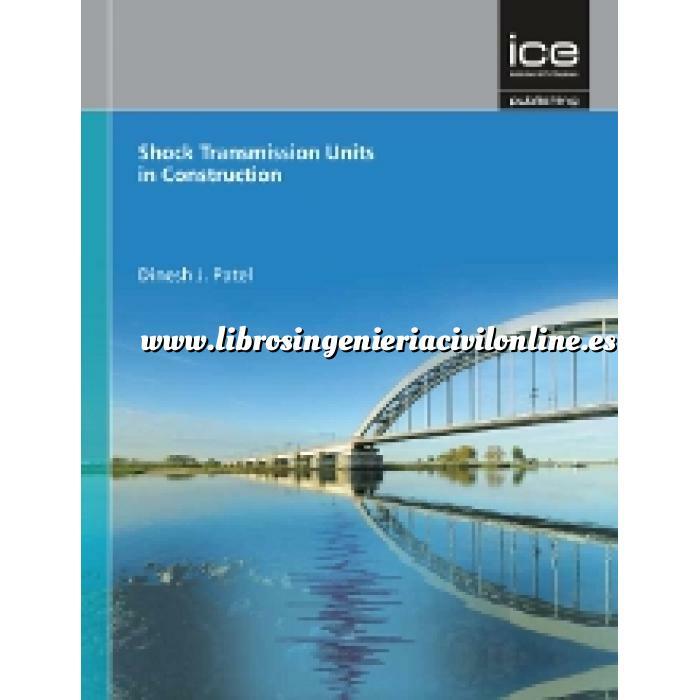 Shock Transmission Units in Construction is the first book to explore the procurement, selection, testing, installation and maintenance processes of STUs, as well as technological developments in the field of seismic protection. This book covers the use of STUs as both a preventative measure, fitted to a structure before a seismic occurrence, and as a seismic protection system, retrofitted to prevent further damage. Drawing on his experiences of supervising the construction of the first bridges in India and the Philippines to use STUs, Dinesh Patel explores the application of STUs on a number of different projects, including new and existing highway and rail bridges, suspension and cable stayed bridges, buildings, structures, nuclear power plants and pipelines. A thorough introduction to this widely-practiced, but still little understood engineering practice, challenging critics by demonstrating the benefits and reliability of STUs in various contexts. A study of current STU brands and manufacturers, and the ways in which different types of STUs have been used in existing projects. Examples of STU application in India, Taiwan, Indonesia, Malaysia, South Korea, Hong Kong, Denmark, Rome, Italy, UK, Saudi Arabia, Turkey, Laos, Indonesia, Canada, USA and the UK. An analysis of the cost efficiency of retro-fitting practices. Dinesh J. Patel graduated from the University of London, UK with a degree in Civil Engineering and obtained his Masters in Structural Engineering from the University of New South Wales, Sydney, Australia. He then supervised the design and construction of bridge structures across the world, including projects in the UK, Canada, Australia, Nigeria, Saudi-Arabia, Indonesia, India, British Guyana and the Philippines, as well as working with various international consulting engineering firms on bridge projects funded by the World Bank, the Asian Development Bank and the Japanese Government. Mr Patel supervised the construction of the Badiwan Bridge, Baguio - the first bridge in the Philippines to use Shock Transmission Units – an experience which enabled him to procure, select, test and install the STUs on the Second Bassein Creek Bridge, Mumbai, India. He was employed by N. D. Lea International, Canada, as resident Engineer/Team Leader to supervise the construction of this project, the first bridge in India to use Shock Transmission Units. The bridge was also awarded the first prize for innovation in construction engineering in 2001 by the Indian Institution of Bridge Engineering. Mr Patel has written and presented many papers on bridge engineering and shock transmission units. His paper entitled “Shock transmission units (STUs) for earthquake load distribution on the World Bank funded Second Bassein Creek Bridge in Maharashtra”, published in the Journal of the Indian Roads Congress, was awarded a certificate of merit by the Indian Road Congress in 2002. Mr Patel’s involvement in the Second Bassein Creek Bridge made him realise the potential for retrofitting STUs to bridges in countries with revised and upgraded earthquake zones to strengthen bridges for earthquake loading. In the absence of technical literature or specification in the Indian bridge design code on the subject of STUs, Mr Patel hopes to use this book to share his experience and best practice guidance to help future bridge engineers to procure, test and install STUs to a high standard ensure that they select the most appropriate STUs for their projects. - Railway bridges over rivers in Indonesia – new bridges 6.3. - Taiwan high-speed rail project – a new bridge 6.4.